Dockless electric scooters now available for rent in dozens of U.S. cities. These are old-style, stand-up scooters that have been updated with electric motors. Riders use mobile apps to track them down and to turn them on and zip along as they hum tunes from BJ Leiderman, who writes our theme music. But as NPR's Henry Zimmerman reports, these scooters have been creating challenges for cities, including Washington, D.C.
HENRY ZIMMERMAN, BYLINE: Stand-up electric scooters have been around since the 1980s. But as the latest trend in transportation, dockless electric scooters first launched in 2017. Then they arrived in the District of Columbia in 2018. And now, just over a year later, there are thousands of scooters in the streets. Enter Juliette Rizzo. She's a pedestrian advocate and leads what are called walking audits. The goal is to find what challenges stand in the way of safely navigating a city. Juliette recently conducted an audit in D.C. From her motorized wheelchair, she calls out to the group behind her like a nature documentary narrator. JULIETTE RIZZO: As we're moving forward, we notice that there's something in our path. ZIMMERMAN: That something is a discarded electric scooter. It prompted a conversation about scooter placement with Beaudry Kock, who was along for the audit. 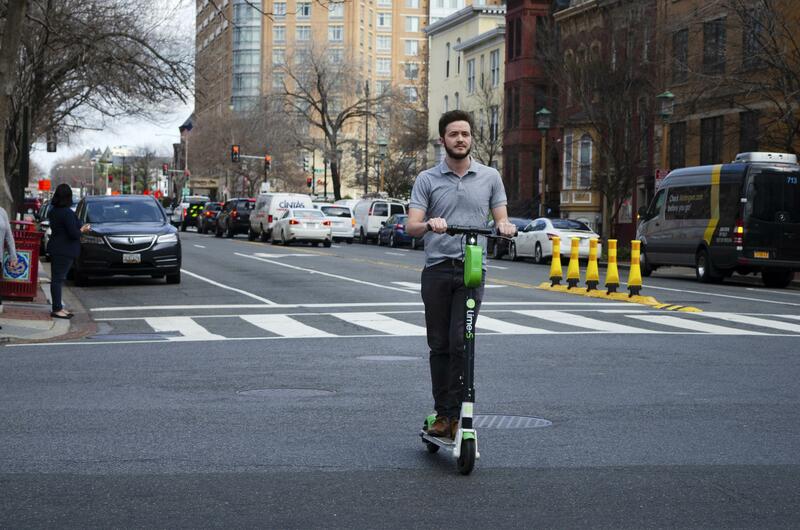 He works for Spin - one of the five companies licensed to operate scooters in D.C.
BEAUDRY KOCK: So there's no - no excuse. There's really no reason. RIZZO: So - but it's up to the individual user to drop it somewhere, right? ZIMMERMAN: Juliette support shared responsibility of sidewalks when it comes to scooter placement, but that's just one issue surrounding electric scooters. KATE DOUGLASS: People ride them on the road, on the sidewalk, in the bike lane. It's kind of a free for all. ZIMMERMAN: That's Dr. Kate Douglass. She teaches medicine at George Washington University and spends a lot of time at the hospital's emergency room. DOUGLASS: Almost during every shift, you'll see somebody come in with an extremity injury or a head injury or a laceration or something along those lines. ZIMMERMAN: Matthew Lachance, a 25-year-old D.C. resident, says he's avoided injuries like that despite using scooters often. MATTHEW LACHANCE: I think the scooters can be very safe. ZIMMERMAN: And fun, he says. 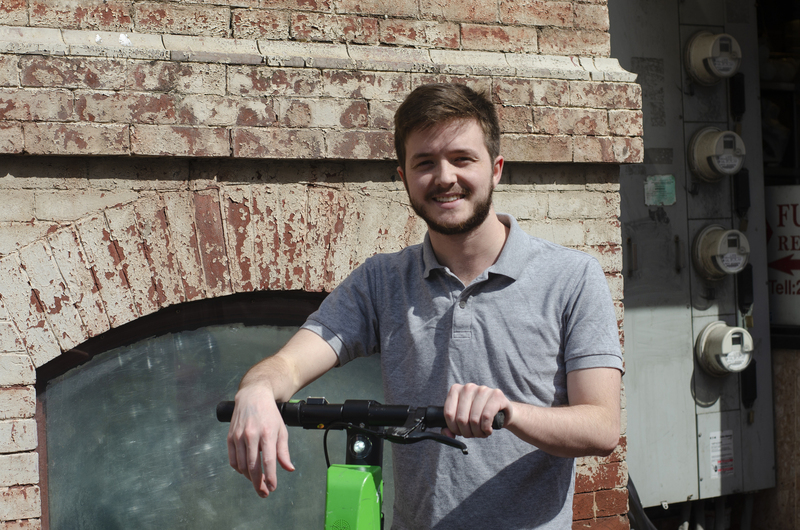 The fun is what drives demand for electric scooter rentals. Plus, they're convenient and quick, too. And even though he uses them often, Matthew acknowledges that there are problems. LACHANCE: I totally get why people have negative opinions. I have negative opinions of most their users as well because they're riding them on the sidewalks and they're danger - endangering pedestrians. ZIMMERMAN: Scooter companies like Lyft, Lime and Spin are all working to educate their users how to ride safely and where they should place the scooters when they're done. But most of these companies feel the best way to address safety concerns is to push for long-term solutions - solutions like redesigning city streets and improving traffic flow for all vehicles, including bikes and scooters. JONATHAN ROGERS: The infrastructure and building the safe streets, I kind of think, is the foundation of all of it and really solves a lot of those problems. ZIMMERMAN: Jonathan Rogers is a policy analyst at D.C.'s Department of Transportation. He says improving infrastructure and building safer streets is a slow and expensive process, same with safer sidewalks. 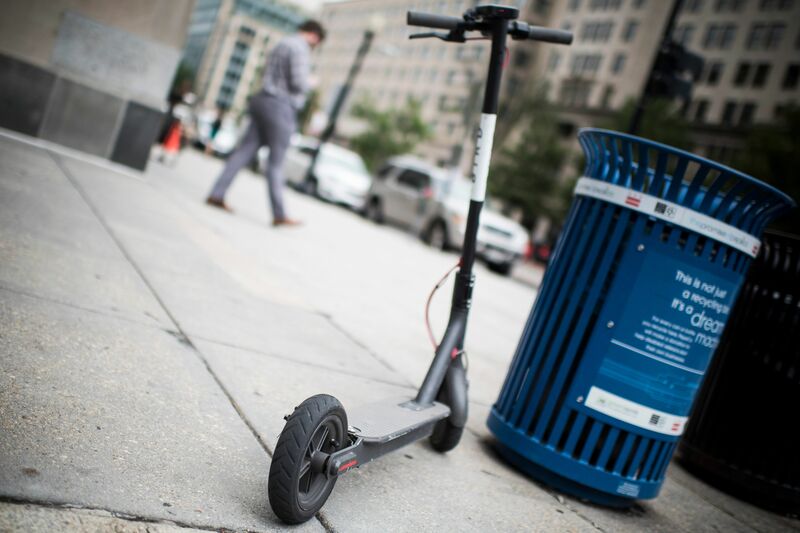 So for now in D.C., scooter safety and responsibility is mostly in the hands of those riding the scooters. Henry Zimmerman, NPR News, Washington. Transcript provided by NPR, Copyright NPR.